Where are the Sony rumors? 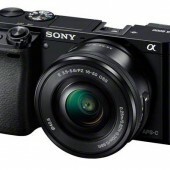 The Sony A6000 camera is currently $200 off at Amazon and Adorama. Maybe this time there is really a new A7000 model coming out soon? Sony has a press conference scheduled for September 11th and forums are already predicting the announcement of the A6000 successor.